April is Parkinson’s Disease Awareness Month, so we’ve decided to take the opportunity to share some information about caring for your loved one with Parkinson’s. When your loved one is first diagnosed, you have a lot of questions, and you experience a lot of emotions such as fear, sadness, anger, and confusion. It can be difficult to know where to begin. Just like how each individual is different with different needs, every case of Parkinson’s manifests differently. While some people experience the whole range of symptoms of Parkinson’s disease, others will only experience some of them. Therefore, it is crucial to educate yourself as much as you can about the disease and to work closely with your loved one’s healthcare providers to ensure that they are getting everything they need to thrive. Parkinson’s disease, also known as PD, is a progressive neurological disorder that is the result of the destruction of the nerve cells of the basal ganglia, a part of the brain that is related to movement. The basal ganglia sends a neurotransmitter called dopamine to the thalamus and cerebral cortex to facilitate movement. In people with Parkinson’s disease, the cells of the basal ganglia begin to die and can no longer produce dopamine. By the time one begins to experience the motor symptoms of Parkinson’s, half of these cells have already died. Other non-motor symptoms may be present up to a decade before noticeable motor symptoms begin. Parkinson’s disease is progressive, meaning it gets worse over time. Upon first diagnosis, your caregiving will likely be more about emotional support. Over time, you will need to provide more hands-on care to your loved one. Tremors: Though not everyone with PD will develop tremors, this is the symptom most commonly associated with the disease. Muscle stiffness: Stiffness makes it difficult to move and can also cause body aches. Slow movement or loss of movement: It’s typical for people with PD to begin to have difficulty with motor function, often through one part of the body. They might also lose the ability to make facial expressions. Walking or balance issues: At first, a person with PD may find it difficult to walk as fast, or one foot may be more difficult to lift, making it drag behind them, or they may need to take unusually small steps. Over time, postural problems cause a stooped torso, which can cause a shuffling gait. This may make it more common for these people to experience balance issues or falls. They may also have problems with instinctual movements, so when they do fall, they do not put their hand out to catch them and this can cause greater injury. It’s difficult to watch a loved one become progressively iller, but caring for someone with PD is a lot easier with these simple tips. Parkinson’s disease requires different levels of care. Upon initial diagnosis, you may want to try to swoop in and do everything for your loved one, but this isn’t actually helpful. All this does is take away their autonomy during a time when they need to feel it more than ever. Ask your loved one how you can help, and respect the fact that they might not want you to be as involved as you want to be. It’s important to become as informed as possible about everything related to your loved one’s care. Learn not only about the disease itself, but also their care plan and the ins and outs of their medical insurance. As they say, knowledge is power, and informing yourself as much as you can will empower yourself to make the most out of your loved one’s treatment plan. There are a lot of details that go into care for PD, between doctor’s appointments, prescriptions, therapy appointments, and symptom and side effect tracking. 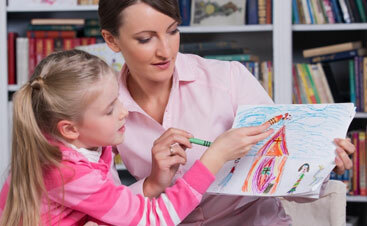 The more organized you are, the more seamlessly you can coordinate your loved one’s care with all parties. One of the most important ways you can support your loved one is by being someone they can trust and be honest with. A PD diagnosis can be extremely emotional, and your loved one will need someone they can lean on to unpack these feelings. Given that more than 40 percent of people with Parkinson’s develop depression, a strong relationship with you will go a long way towards helping them. Parkinson’s disease doesn’t just impact the person with the disease; it also creates a ripple effect on the family. That’s why it is important to prioritize self-care in addition to the care of your loved one. As they say, you can’t pour from an empty cup — you need to care for yourself before you can care for others. Here are some important self-care tips to keep in mind when you are caring for your loved one with Parkinson’s disease. Don’t try to take on all the responsibility for your loved one’s care. It’s common for caregivers to assume too much of the burden of care, burning out quickly. Make a list of family members and friends who you can call in the case of an emergency, or simply when you need some time to yourself. 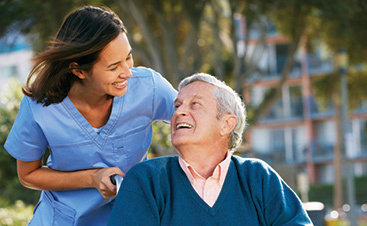 In addition, a home health aide can be an invaluable resource to you. An in-home caregiver can provide you with the relief you need while giving your loved one the special attention they need. You don’t have to feel like you are neglecting yourself or your loved one when you hire a home health aide from Evergreen. Caregivers often put their own needs and desires on the back burner as they care for their loved one with Parkinson’s. They think that doing things for themselves would be selfish. In reality, it is kinder to everyone if you make time for yourself. This way, you can be truly engaged, present, and grateful for the time you spend with your loved one, rather than resenting them for all you give. Schedule social activities with your friends, enjoy your hobbies, and engage in a fun physical activity that will keep you active. Caregiving can be very overwhelming, and everyone reacts to it differently. While some live in denial, trying to convince themselves that nothing has to change and everything is okay, others may feel extreme anger or sadness about their loved one’s condition. It can be heart-wrenching to watch your loved one suffer, and it can be difficult not to feel things very deeply if there are any shifts in mood or behavior. However you feel, don’t try to push it down. When you avoid your feelings, they aren’t going anywhere; they will come out in other ways, sometimes through health problems of your own. Find someone you trust who you can talk about your feelings with, whether it is a close personal friend, a religious leader, or a therapist. You might also benefit from a support group, whether you find one in your area or online. 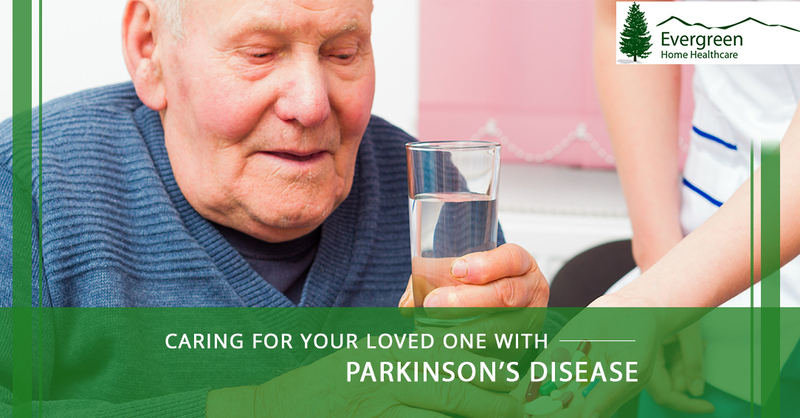 At Evergreen Home Healthcare, we are aware of how difficult it can be when your loved one has Parkinson’s disease. Fortunately, our staff of home health aides can help. 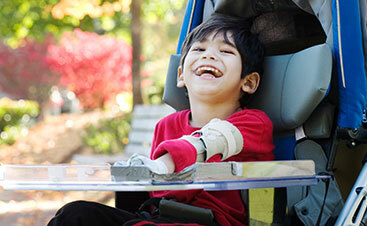 Get in touch with us and we can determine with you the best kind of care for your loved one. Contact us today.